10th place overall at the Grand Prix of Belgium hid a deeper and better story for SS24 as a first moto charge delivered some inspiring scenes. Round 15 of 20 in MXGP drew the series into the hardest and most demanding terrain of the season but one that Shaun knows intimately and which harbours good memories as the scene of his second Grand Prix win just three years ago. 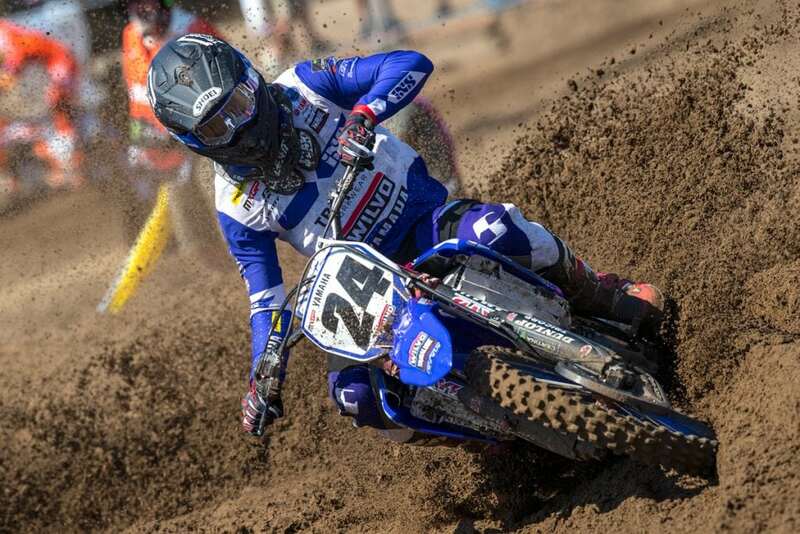 Feeling fitter and more at home on his YZ450F but still some way from his peak condition, Shaun was still able to set lap-times that saw the #24 bouncing around the leading positions and holding fast within the top ten of the premier class on a hot Saturday and as fine summer climate stretched into race day. While Jeffrey Herlings ran amok and continued his 2018 streak of superiority Shaun slapped adversity in the face. He unfortunately hit the floor on the third corner of the first race but picked up his Yamaha and re-started from last position. Simpson caught the attention of the entire circuit as he rode with menace to cut his way through the pack with aplomb. In near 30-degree temperatures he rose all the way to 11th position, passing former World Champion Jordi Tixier on the last lap. The exertions had a bearing on the second moto but Shaun’s sand skills carried him to 11th position once more for 10th overall. Frauenfeld-Gachnang, near Zurich, will stage the Grand Prix of Switzerland for the third year in a row in two weeks time.